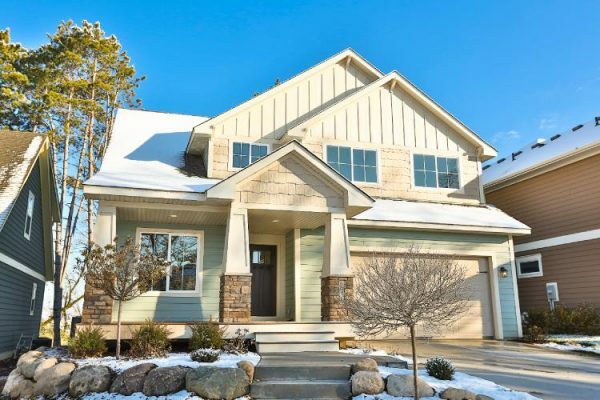 When it comes to home siding, Parker, Colorado homeowners have a lot of harsh weather to take into consideration. However, choosing the right new siding for your home doesn’t have to be as hard as it sounds. With Scottish Home Improvements as your Parker siding replacement experts, you’ll have various excellent choices for protecting your home or business from the elements. We provide many options for adding new siding to your home or commercial property, and you can be sure we’ll help you create something you’ll love. James Hardie® Fiber Cement Siding is one of the best siding choices you can select for your home. This fairly new product (which has been on the market for about 25 years) will hold up against the worst of Parker’s winter weather. When installed with HardieWrap® and rigid foam insulation, fiber cement James Hardie siding makes your Parker home more thermally efficient, resulting in additional energy efficiency and energy savings benefits. With James Hardie siding, Parker residents achieve a fantastic home exterior that requires next to no maintenance over the years. When choosing fiber cement James Hardie siding, Parker residents should also take the danger of fire into consideration. Other siding materials can burn or melt away very easily, but fiber cement is completely non-flammable and can provide extra protection to your home in case of a fire. And the best thing about James Hardie siding is that it’s backed by an incredible warranty, which means you can have peace of mind knowing your investment is protected even if damage does somehow happen to your home. Wood siding is traditional here in Colorado. It blends in beautifully with the mountain landscape and areas like Parker where there are plenty of open parks and meadows. Wood siding invites the tranquil beauty of nature to your home and provides excellent insulation. Here at Scottish, we offer both traditional wood siding as well as siding products that mimic the appearance of wood like fiber cement and LP SmartSide engineered wood siding. Vinyl siding has come a long way. It comes in an array of stunning colors and styles, can mimic the look of wood, and has been improved continuously to make it a more durable and more beautiful option for your home’s exterior. Vinyl is probably the most popular new siding chosen across the country for its affordability. With these types of siding options, Parker homes can have an exterior that is easily cleaned and can even be repainted if desired. For your commercial space, steel siding may be exactly what you need. While not often considered aesthetically pleasing enough for the home due to its industrial nature, steel siding has come a long way in finishes and styles. Additionally, its ruggedness and affordability make it a great choice for certain types of business locations. With plenty of steel siding options, Parker businesses can have a product that will lower annual maintenance costs and create peace of mind knowing the building is protected. Stucco siding is becoming an increasingly popular choice for Parker homes. Reminiscent of the beauty of the Southwest, stucco is warm and inviting and looks beautiful on almost any style of home. At Scottish, we carry James Hardie stucco panels as a modern stucco option for those looking for this unique Southwest look. 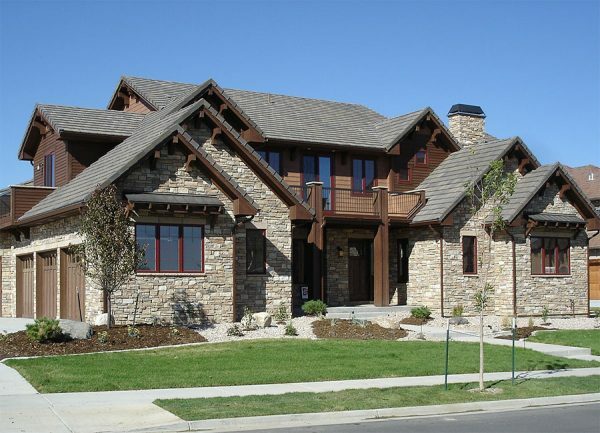 Stone siding can bring a touch of natural beauty to your Parker home. When paired with cedar or stucco, stone accents look stunning and give off a very sophisticated, elegant look. We partner with Sunset Stone, a local siding manufacturer based in Colorado. In our experience, Sunset Stone produces some of the highest quality stonework that we’ve seen on the market. Though Scottish Home Improvements boasts a diverse range of products that can replace your current siding, we also recognize that on occasion, some homeowners and business owners either wish to maintain their property’s current aesthetic appearance or do not have the budget to overhaul their siding for a complete replacement. In such situations, Scottish Home Improvements is happy to offer our siding repair services to Parker residents. Using our vast collection of siding colors and materials, we can work with you to match the current look and feel of your present siding for a seamless, cohesive exterior with renewed protective characteristics. Our team has over 15 years of experience to back their helpful advice when you’re choosing styles for the exterior of your home, and we can help you through each step of the process. Thanks to our CAD programs, we can actually show you what your siding will look like on your home before we even begin installation. This means you can feel completely confident in your decision. Scottish Home Improvements’ customer service has been awarded an A+ BBB rating, as well as seven consecutive gold stars by the BBB for great customer service. Our team has the experience and dedication to ensure that designing and installing new siding on your home can be an enjoyable experience for you and your household. For more information about any kind of siding available in Parker or across the Front Range, please contact us today!